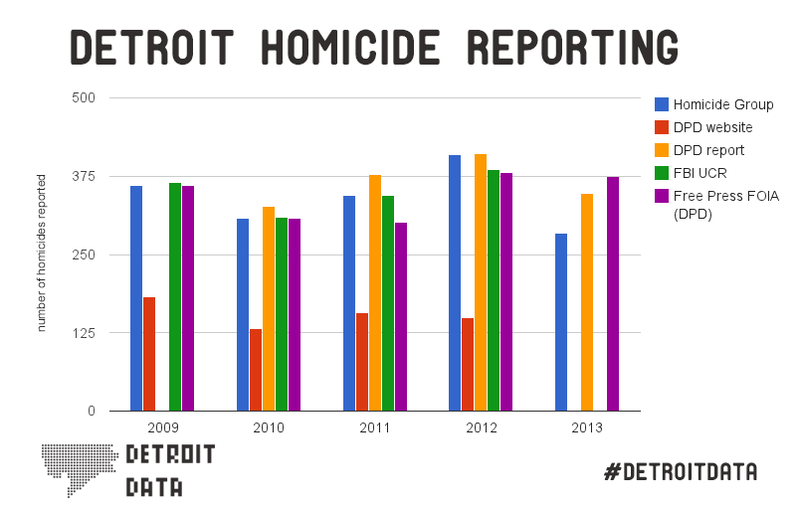 I’ve been actively engaged in tracking homicides in Detroit for a few years now thanks to the efforts of Cham Green and the independent Detroit Crime and Homicide Group, which has spent the last years combing news articles, Detroit Police Department (DPD) major crime reports, and checking these against FOIA requested homicide numbers. There is no other comprehensive or working system to keep track of crime and homicide in the City of Detroit. The Detroit Free Press requested homicides in 2011 as part of a FOIA. The data they obtained went back to 2008 with about a dozen cases from 1970 and 1980s. Needless to say, the FOIA made it evident that the City of Detroit was seriously lacking in its ability to keep track of crimes and report them in an accurate and timely manner. I can’t say that I’m surprised with the regular cost cutting within the DPD and the constant shifting of both officers and precincts, but there has to be a better solution. I checked the data from the independent Detroit Crime and Homicide Group against the FOIA and it did not match up with the official reported Detroit Police Department (DPD) homicides (2012 Crime Statistical Information, Detroit Police Department) or with the numbers reported by DPD to the FBI’s Uniform Crime Reporting (UCR) system. Technically, DPD isn’t required to report “justifiable homicides” to the FBI UCR. However, the DPD has a documented history of under-reporting homicides (LeDuff & Esparza, 2009) and other major cities have been cited for categorizing more “justifiable homicides” in order to decrease their homicide rates and appear to be safer. In many cases the reporting police officer may deem a homicide “justifiable” simply based on their own prerogative. In 2011, justifiable homicide was up by 79% (Madison & Duell, 2012) while 2012 marked the highest year for homicides since 2007 (Damron, 2013). 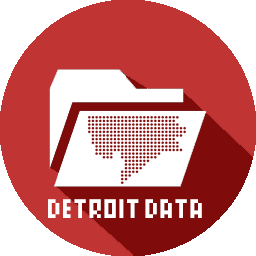 The City of Detroit has been utilizing the CrimeMapping.com site to aggregate and display its crime data for the past few years, but there are glaring issues with data accuracy and availability. 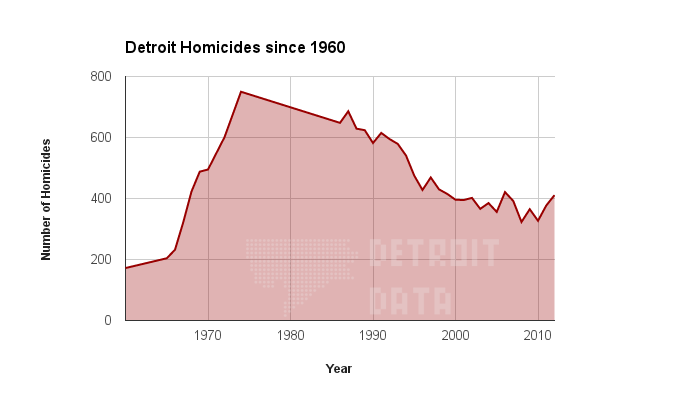 Just yesterday the site displayed that there had been a single (1) homicide in Detroit between January 1, 2014 – June 22, 2014, when it is well documented in the news and the DPD that the numbers are just over 120 homicides in the 2014 calendar year. This demonstrates not only a serious lack of innovative thinking, but also a disregard for accurate data sharing with the public. In March 2014, the DPD put a full stop on publishing the 24 hour major crime report and now sticks to reporting drug busts, weapons confiscations, and successful arrests. It is nearly the end of June 2014 and the DPD website has still not posted any crime statistics update since the end of May 2014. The City of Detroit, Detroit Police Department, and other city agencies need to adopt true open data policies. Data that affects the public on a daily basis has no business being kept behind closed doors or contracted out to those who will not be good stewards. *FBI UCR data isn’t yet available for 2013 (only for Jan-Jun) and the DPD website has stopped publishing crime statistics.